River Place in Bradenton is a reminder to house hunters that luxury waterfront properties can still be found in Southwest Florida at reasonable prices. River Place is located on the eastern banks of the Braden River, about a mile south of Ward Lake and west of I-75. Development of this neighborhood started around 2002, but most of the single-family homes were built within the last ten years. The homes at River Place follow the recent trend of larger and more luxurious properties being constructed in Manatee County. Even a home with two bedrooms and two bathrooms, built on 2,000 square feet of interior space is not uncommon in this community. If you are interested in a waterfront property, you should include River Place to your list of neighborhoods to visit; some of the homes here are located right on the riverbank while others are situated on canals, and some may even feature a private dock. River Place is separated into various residential sections, and some are more exclusive than others. The neighborhood amenities at River Place consist of a media library shared by the community, a kayak launch, a shared storage room for canoes and kayaks, and a heated swimming pool. In terms of pricing, River Place offers some great listings. 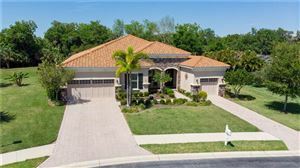 For example, a cul-de-sac home with four bedrooms, three full bathrooms, a three-car garage, private swimming pool, private spa, covered lanai, gourmet kitchen with pantry, formal living room, and many other extras, was listed under $360K in mid-2015. Considering the quality construction, neighborhood amenities and great location of River Place, the current listings are very reasonably priced. River Place residents can choose between the beaches of Manatee or Sarasota Counties for their weekend trips; they are located less than one hour drive away. Major shopping centers are just five and ten minutes away, and the downtown districts of Bradenton and Sarasota can be reached by means of I-75 or U.S. Highway 301. 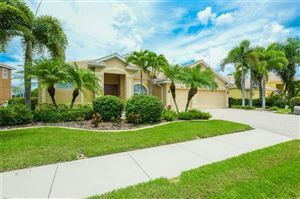 See all River Place Bradenton Florida Homes for Sale.